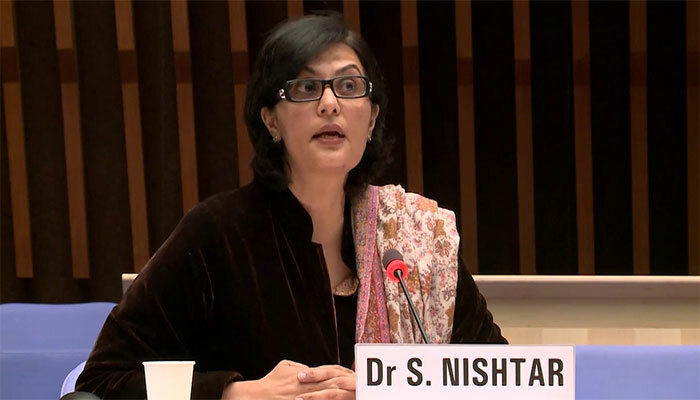 The federal government has appointed Dr Sania Nishtar, Pakistan's internationally acclaimed global health expert, as chairperson of the Benazir Income Support Program (BISP). According to a statement issued here, the federal government had invited Dr. Sania Nishtar to chair the Board of the BISP, following her acceptance, the government has made the appointment. Poverty alleviation and provision of social protection to marginalised groups, especially in the less developed areas of the country, is amongst the highest priorities of the Government. Dr. Nishtar’s appointment, in fact, reflects the government’s commitment to achieve this policy objective by depoliticising BISP and providing it professional leadership. BISP has recently outlined its plans for a comprehensive social protection strategy aimed at protecting the poorest of the poor from economic shocks. Under Dr. Nishtar’s stewardship, BISP is expected to further deepen its interventions and also make them more transparent through innovative targeting approaches for the most disadvantaged segments of society. About Dr. Sania Nishtar Dr. Sania Nishtar is the internationally acclaimed Pakistani physician and public health expert. She currently co-chairs WHO’s High-Level Commission on Non-communicable diseases along with the president of Uruguay, Finland and Sri-Lanka. She also chairs the U.S National Academy of Sciences initiative on the Quality of Healthcare in low and middle-income countries and also chairs the United Nations International Institute for Global Health’s Advisory Committee. She is a member of the International Advisory Board on Global Health of the Federal Government of Germany and the World Economic Forum’s Global Agenda Council on the future of healthcare. She has previously served as a caretaker Federal Minister in the Interim Government of 2013. In 2017, she was Pakistan’s nominee for director general of the World Health Organization and was in the final shortlist of three. Earlier she was also founding chair of the UN Secretary General’s Independent Accountability Panel for Women’s and Children’s health and chaired WHO’s Commission on Ending childhood Obesity. She has received many international awards for her work and is widely published. Sania Nishtar graduated from Khyber Medical University as the best graduate in 1986, with 16 gold medals setting a college record which remains unbroken. She is a Fellow of the Royal College of Physicians and took a Ph.D at Kings College London.